Dental hygiene is an important part of your pet's health - something as simple as bad breath can mean far more than what it seems. Inflamed, red gums can quickly turn into more serious signs of dental disease progression. Other indications are bleeding or receding gums, drooling, difficulty chewing, loss of appetite, pawing at the mouth, and loose or missing teeth. 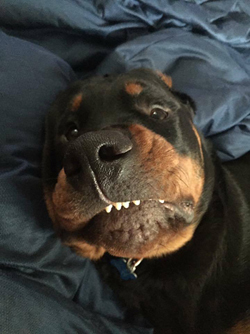 Dental disease, if severe enough, can even cause or aggravate serious health problems (such as heart, liver, and kidney disease) due to the bacteria entering the blood stream via your pet's mouth. 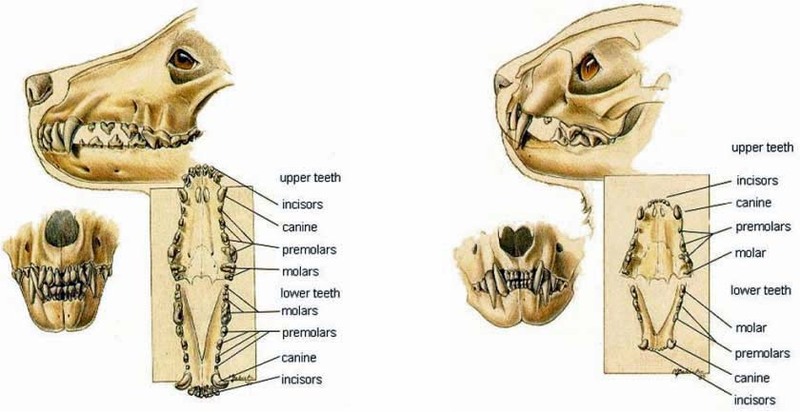 That's why we check your pet's teeth as part of their wellness exam. It is also important that we check the surrounding gums and oral cavity as well - any lesions or masses found are much more easily taken care of when they're small and in the early stages of development. 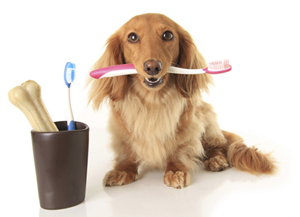 After an oral exam your veterinarian may recommend at home dental care or even a dental cleaning. Their decision is based upon the level of any present periodontal disease: your doctor will check for reddened gums, gum recession, tartar build up and loose teeth. For a more thorough exam, your doctor may need to see radiographs while your pet is anesthetized to evaluate such conditions as bone loss, tooth resorption, or abscess formation. A dental cleaning will maintain dental health and prevent any existing dental disease from progressing further. If the periodontal disease is severe we will do our best to save what teeth we can, but, unfortunately, this isn't always possible. But fear not! We do have patients that don't have any teeth and they are able to live fully functional, happy lives - free of dental pain. To help prevent initial or recurring periodontal disease there are a few options you can try at home. The best, most recommended, option is daily teeth brushing. And since plaque can turn into tartar in as little as 24 hours, it's important to take care of the problem before it starts. Please note that brushing will remove plaque, but not tartar! If this isn't ideal for your situation then your second best option is to use Oravet gel. This product is applied to your pet's teeth once weekly and prevents plaque and tartar from adhering to the teeth. The plaque and tartar will still form, but you will be able to remove it easily. We realize that some pets will absolutely not tolerate you brushing their teeth or applying Oravet. If this is the case, we offer a wide variety of products to suit your needs. We encourage you to ask your veterinarian about the best options for you and your pet. Periodontal disease is a process in which bacteria and plaque induce an inflammatory process of the gums and supporting tissue of the tooth. The signs we notice most are bad breath and reddened gums. Gingivitis (inflammation limited to the gums) is reversible. Untreated gingivitis will progress to periodontitis: the inflammatory responses that involve the supporting bone and tooth root. The end result of periodontitis is loss of the teeth due to loss of supporting bone. Inflamed gums also provide bacteria with easy access to the blood stream where they can travel to infect major organs such as the heart and kidneys. While gingivitis is reversible, periodontitis is not. Our goal is to prevent gingivitis progressing to periodontitis. We use a four stage grading system. Stages 1 and 2 respond well to a dental cleaning. 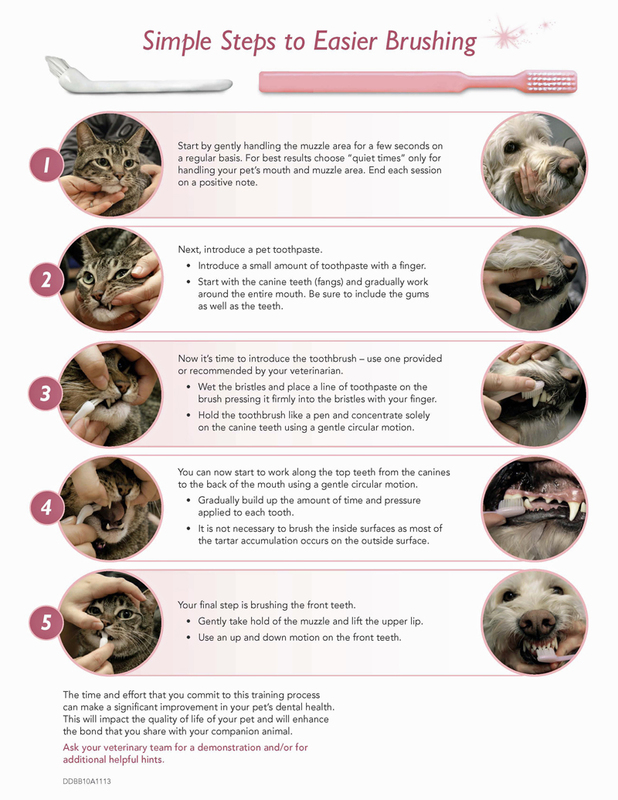 Stages 3 and 4, however, will involve much more work to help your pet feel better. Steps that we can take during this time would be dental radiographs, periodontal treatment (an antibiotic gel placed between the affected teeth and the gums), extraction of teeth, and bone grafting material. These things will help your pet's mouth not only smell and look better, but, most importantly, feel better. Plaque: a soft, sticky, whitish, mat-like film attached to tooth surfaces, formed largely by the growth of bacteria that colonize the teeth. Tartar (Dental Calculus): a hard, yellowish to brownish-black deposit on teeth formed largely through the mineralization of dead bacteria in dental plaques.